We are pretty sure at least one of Ford Mustang fan’s dreams would be to cruise cross-country at the wheel of his or her favorite faithful steed. 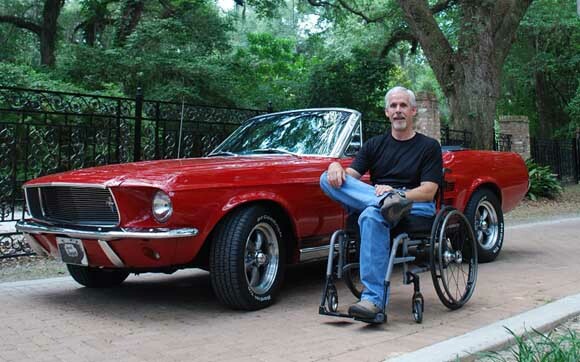 One such Stanger (historian Bruce Gamble) and his 1967 Mustang convertible will complete a journey in his “Sweet Chariot” (named after the bomber his father piloted during World War II) to pay tribute to Jack Kerouac, who embarked on a months-long trips across the USA — the theme behind his novel On the Road. Over the course of his travels, Bruce will catalog all of his discoveries and findings while cruising across this great nation of ours. Bruce himself is a paralyzed veteran and cancer survivor, so he’s no stranger to adversity and adventure; all which give him a unique perspective on life and its ups & downs. To capture the essence of his chronicles, Gamble has published several magazine articles and a book. his latest, “Swashbucklers and Black Sheep”, is due for a September 15, 2012 release. For more information, keep reading the Press Release for all the finer details. AUTHOR & DISABLED VETERAN TO RETRACE KEROUAC ROUTE, PRESENT/SIGN NEW BOOK MINNEAPOLIS, MN (August 2012) — Starting in September 2012, award-winning author Bruce Gamble will travel across America in a vintage Ford Mustang to discuss his latest book while paying tribute to a literary giant. Sixty-five years ago, Jack Kerouac embarked on a months-long journey of discovery across the United States and back — the basis of his classic novel On the Road. 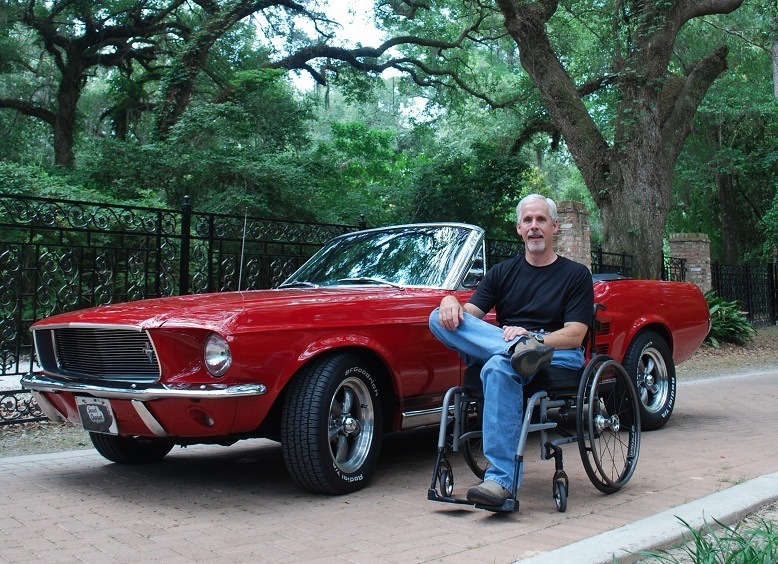 Bruce will trace the entire 6,000-mile route in “Sweet Chariot,” a 1967 Mustang convertible named for a bomber his father flew in World War II. Throughout the tour, Bruce will hold presentations and signings for his new book entitled Swashbucklers and Black Sheep. 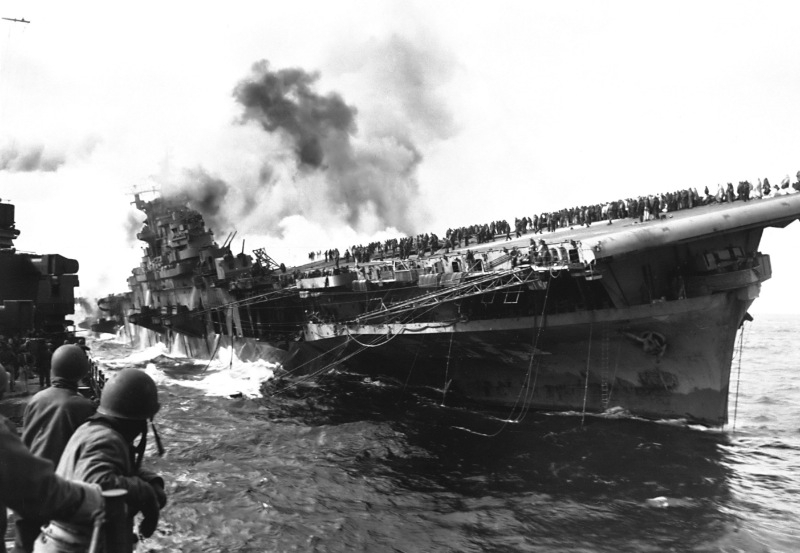 Swashbucklers and Black Sheep: A Pictorial History of Marine Fighting Squadron 214 in World War II, is a lavishly illustrated account of America’s most famous fighter squadron. 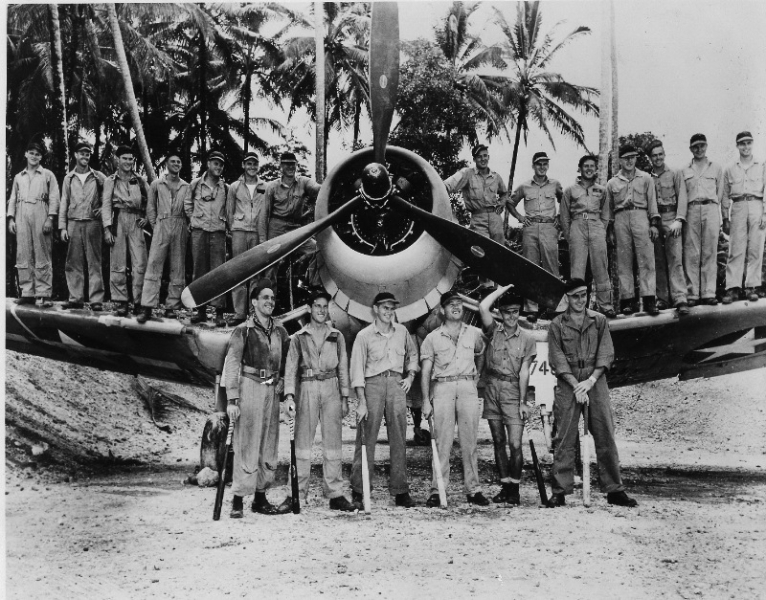 Initially calling themselves the Swashbucklers, the pilots of VMF-214 fought with distinction in the early battles of the Southwest Pacific campaign. 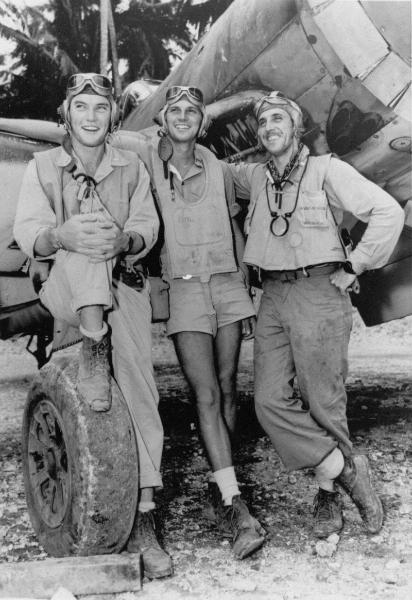 Later, under the leadership of the legendary Major Greg “Pappy” Boyington, the squadron became a household name as the Black Sheep. 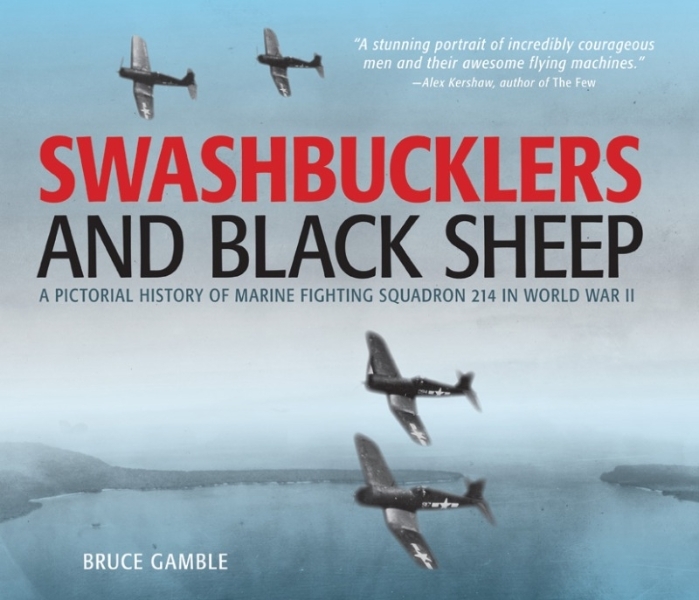 Featuring a rich collection of historical photography and aviation art, Swashbucklers and Black Sheep tells the complete story of the squadron’s service in World War II and beyond.